An Egyptian classic as old as time, gets an upgrade with the use of delightfully delicious PALMIERS (lunettes) instead of regular ‘ol puff pastry or roaa (Egyptian flat bread). Oodles of crushed palmiers get mixed with nuts, sweetened hot milk, topped with whipped cream and broiled to perfection. 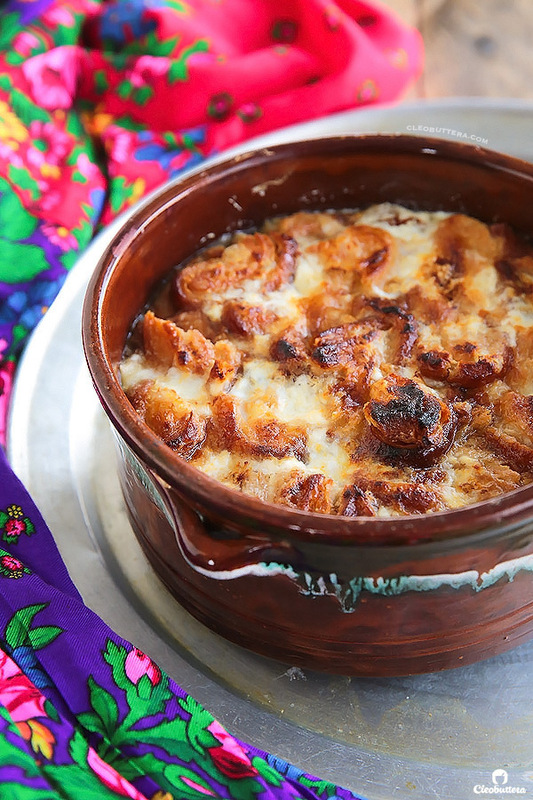 The result…crunchy and caramelized on top, deliciously creamy and silky in the bottom. As tempting as it may be, I tend to refrain from labeling any of the recipes you see here with high status claims like “The Best,” or “Best Ever,” simply because the definition of what makes something “the best” differs from one person to another. 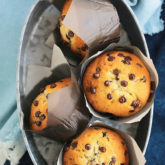 And this, my friends, is why I’ve never titled any of my recipes with “Best Ever,” even if I’m convinced that they are…like these cookies and these muffins. Until today. Because this version of Om Ali…is worth taking my chances. I’ve been eating Om Ali all my life, and this is by far the best one I’ve ever tasted. And I have high hopes that you’ll agree once you try it for yourself. 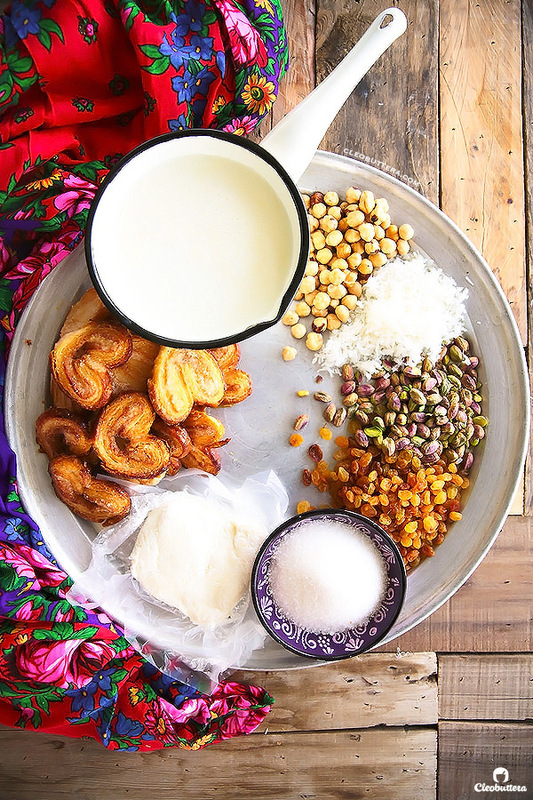 Before we get elbow deep into the recipe, let’s just back up a little bit to explain what Om Ali is, in case you’ve never been acquainted. Om Ali is…Ali’s mother. Literally. LOL! 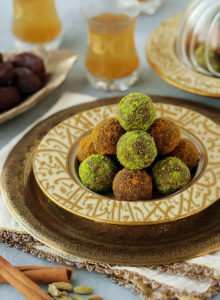 I know how ridiculous that sounds, but one mouthful of this delicious dessert, will make you care less what it’s called; and you’ll end up loving Ali, his mother, and his whole family:) Legend has it that Om Ali is named after Sultan Ezz El Din Aybak’s wife, back in the 13th century. She made it for a victory celebration, and distributed it among the people of the land. Her name stuck to this tasty dish ever since. 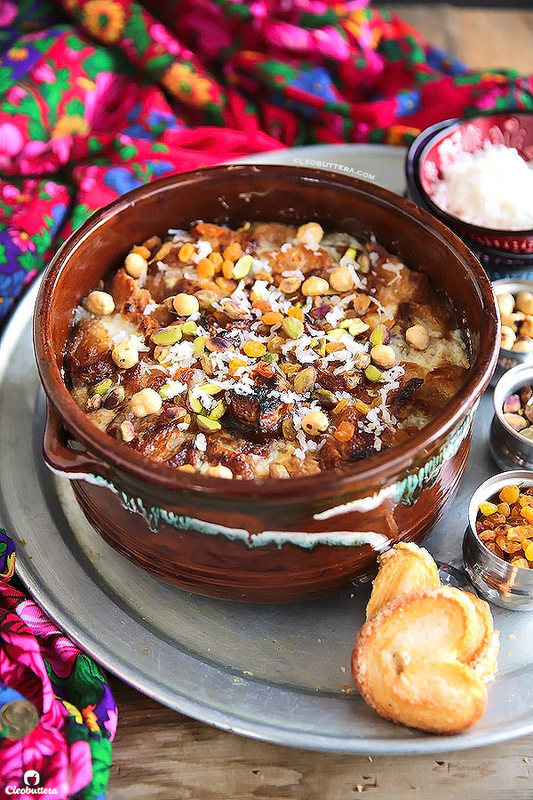 You could think of Om Ali as the Egyptian cousin of the ever-so-popular bread pudding. Same idea of soaking some type of bready carb with dairy and sugar and baking it in the oven. Om Ali skips the eggs though, which makes it lighter in texture, looser and milkier as opposed to custardy. 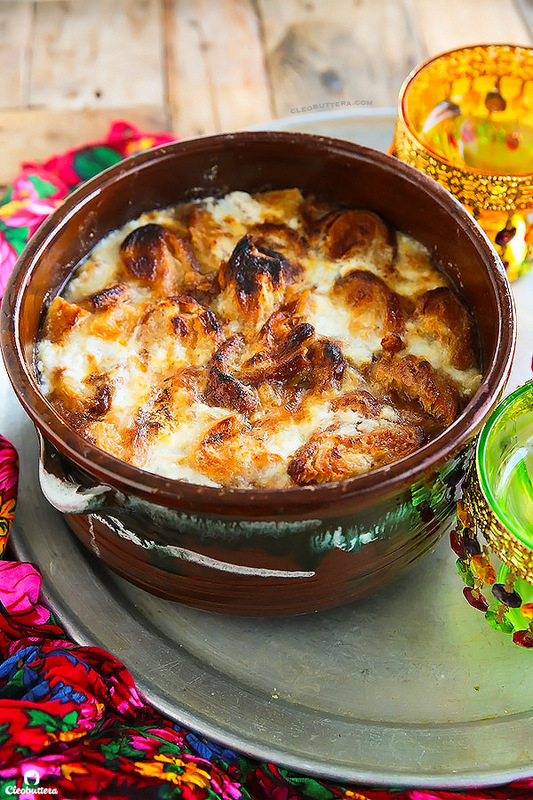 Instead of bread, it is traditionally made with baked puff pastry, phyllo or roaa (Egyptian flat bread) combined with milk and nuts. To be honest, I’ve never been that much into it, because of its monotonous texture. The bread part often gets too soggy and slurpy and one dimensional. As delicious as it tastes, but all creamy, all the time could be boring guys! Yes, the nuts do surprise you every other bite or so, but I’m very particular about nuts in dessert so it was’t really the most pleasant surprise. So I set myself on a mission to find a “better” Om Ali recipe. I discovered recipes that use croissants instead, which sound promising, but there were several that use cornflakes. Like…really? But then when I asked around, all fingers pointed to my friend Dina. Apparently, Dina is famous for her Om Ali and I had no idea. A few hundred text messages between Dina & I later, I was able to get the recipe! Kinda. Sorta. You see, Dina is one of those amazingly talented women who cook by sense, which is the complete opposite of obsessive compulsive, meticulous bakers like myself. Gosh, I wish I was like her! So eventhough she’s been making this for years, she had never measured anything. She simply senses the quantities. She amazes me! Long story short, after spamming her what’sapp feed with a flood of questions for 7 consecutive days, she was able to give me rounded amounts that I later measured. I hope she still likes me. Palmiers. Which are also known as lunettes. I mean just by looking at its caramelized edges, you know it’s oughta make a knock-your-socks-off dessert. It’s pure genius! These heart shaped, super crunchy cookies made from puff pastry rolled with sugar are the perfect base for Om Ali. Their firm, crunchy texture, prevents them from soaking up too much milk like the traditional “breads.” So while the bottom layer will soften, it won’t disintegrate and turn into mush like the others. It will still have some bite into it. The top layer, on the other hand, will turn into this heavenly, caramelized, crunchy topping that beautifully contrasts the creamy bottom. 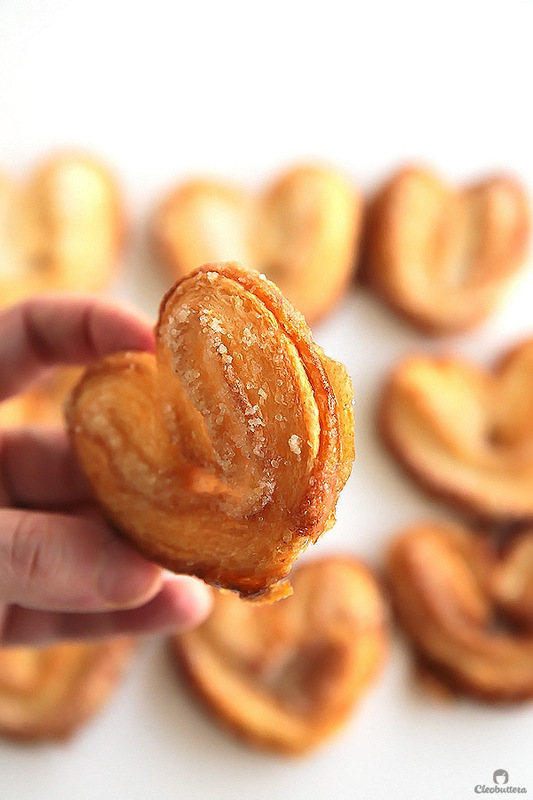 The palmiers, as they are, are so flavorful, so imagine the amount of flavor they’ll add to your Om Ali, compared to bland, plain puff pastry or roaa. 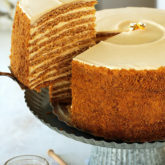 The caramelized sugar around the edges will melt into the milk, giving it caramel undertones. DELISH! Dina uses very high quality store-bought palmiers and so did I, which makes the dessert a breeze to put together. If you can’t find them or would prefer to make them at home, check out this great tutorial. Skip the cinnamon though. 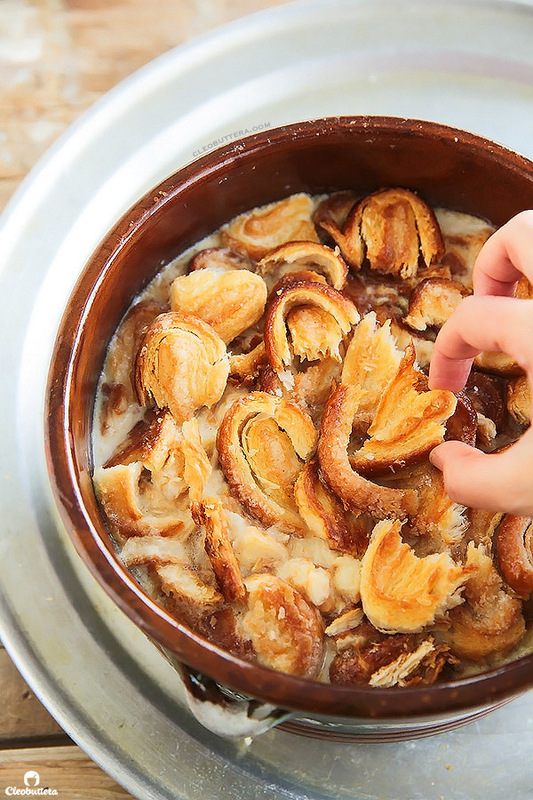 Once you get your hands on some palmiers, fresh (preferably organic buffalo) milk, eshta (or whipped cream), sugar and nuts, this dessert is easy as throwing everything in a pan. You’ll just break some palmiers in a baking dish (forget the pictures, and use a shallow rectangular dish instead of a deep one for better texture. I was going for a country Egyptian look by using a traditional deep dish, but I found that a shallow one gives more surface area for a crunchier top). Then all you’ll need to do, is boil the milk with some sugar, then pour it all over two-thirds the amount palmiers. Note that I’m not adding the nuts at this stage, which is the traditional route, because some people (like someone I know) have nut issues. But if you like them inside, go ahead and knock yourself out! Then top with the remaining one-third of palmiers. This will give you an extra-crunchy topping. Yum! My favorite part. Mmmmmm…someone hand me a spoon. and let everyone be their own boss. Like Tooki…she likes nail polish, funky accessories and raisins. 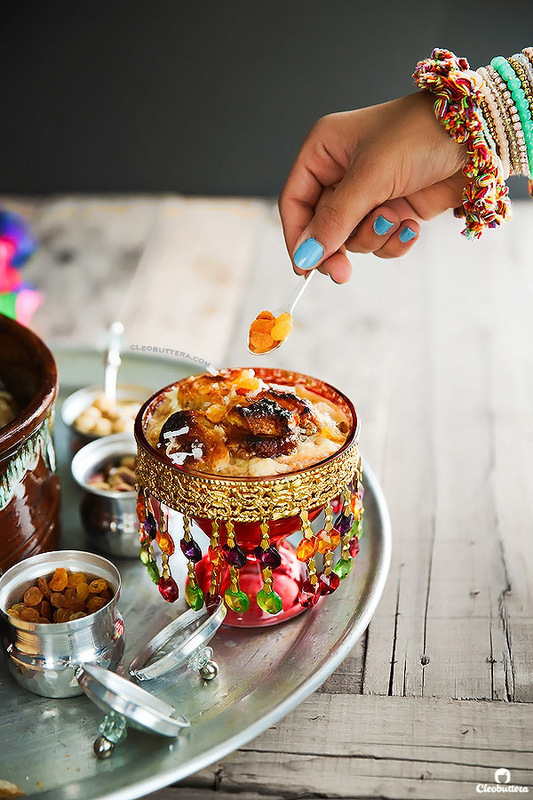 Nuts or no nuts…this Om Ali is a real game changer! “I’m lovin’ it” and so will you! You could either use a baking dish around the dimensions of 9X13 inches or 2 quart deep dish (buram) for this recipe. However, I've found that unlike the deep dish used in the pictures, a shallower rectangle or oval dish produces much better texture. 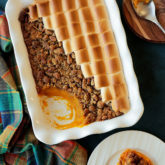 The larger surface area of the wide, shallow dish allows for a greater amount of browning and crunch on top, which ensures crispy, caramelized bites with every mouthful. Adjust the oven rack to medium position and preheat the oven's broiler to 200C/390F. In an oven safe baking dish, break in half 3/4 of the amount of palmiers, and arrange in layers. Set aside the remaining 1/4 of the palmiers. Add in the nuts, if using. I prefer to serve it on the side as not everyone likes nuts. In a medium saucepan, over medium-hight heat, stir together the milk and sugar, until the sugar dissolves, then bring to a boil. Pour the boiling milk mixture over the palmiers. 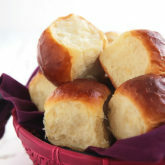 Use the reserved 1/4 amount of palmers to top the surface of the milk-soaked palmiers. This will create an extra crunchy topping. 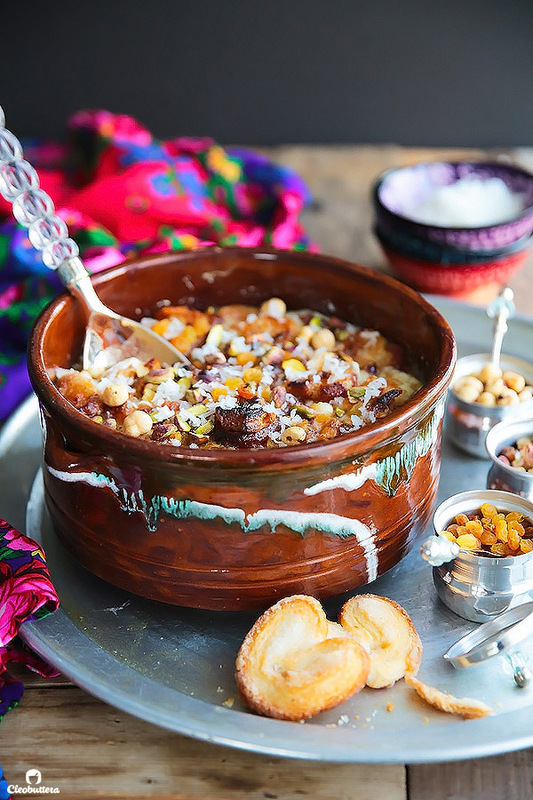 Dot the surface of the dish with spoons of eshta. No need to spread it. If using whipped cream, evenly spread it all over to cover the entire surface of the dish. Place the dish under the oven's broiler until bubbling around the edges and the top turns golden brown; about 10 minutes. Keep a close eye over it as it might brown in less time. For best results, use palmiers for this dish, which could be found at most bakery shops and big supermarkets. I get mine from Souffle, a bakery in New Cairo. Tel: 01002100137/ 01112100137. If you can't find palmiers or prefer to make them at home, click here for a great quick and easy tutorial. They are so simple to make and are basically just puff pastry rolled with sugar, sliced and baked in the oven. 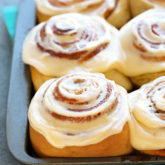 Just leave out the cinnamon for this recipe. As another alternative, baked puff pastry or toasted croissants could be used instead of the palmiers. Though still delicious, the results won't be same. You'll also need to up the sugar by about 2 tablespoons to accommodate for the missing sweetness of the palmiers. Organic buffalo full-fat milk, sold at milk shops, gives this dish the best flavor and creamy texture. However, it could be substituted by using 4 cups regular full-fat cow's milk, combined with 1/4 cup heavy cream. Hi. This looks amazing. What are palmiers in Arabic? Where from? 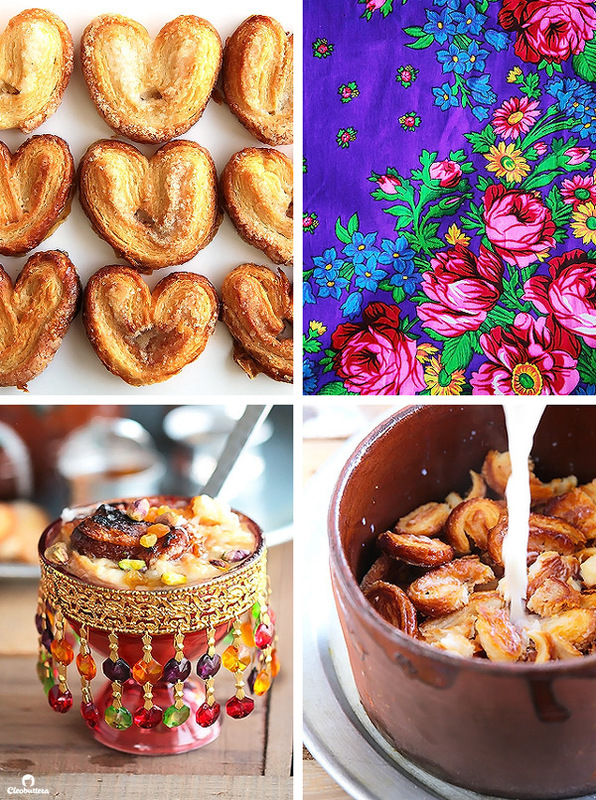 Thanks…love your recipes…truly! Hi Amna! Thank you so much:) They’re known as Lunettes in Egypt but some bakeries might refer to them as ‘naddarat.’ I got some amazing ones from Souffle in New Cairo. I added their information in the ‘NOTES’ section of the recipe box. 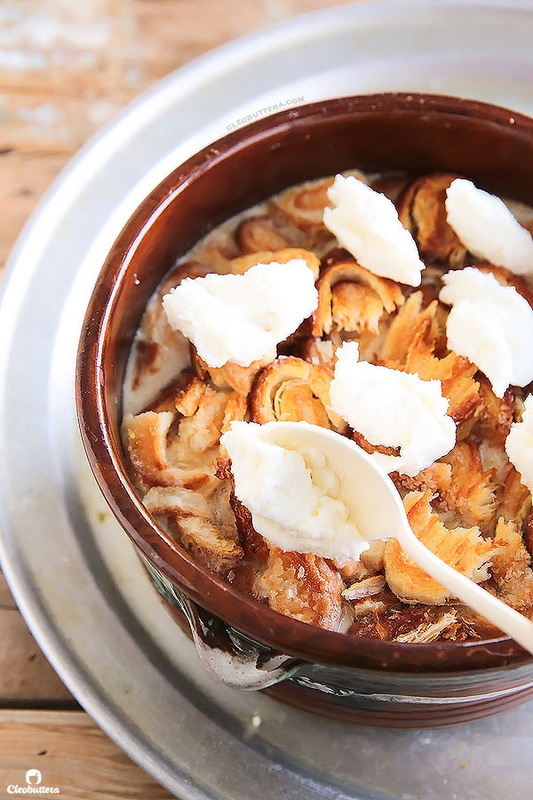 Bread pudding is one of my all time favorite desserts and I always, always, always have to try it if it’s on the menu. For as many as I’ve tried (or made) I’ve never seen one made with palmiers. but wow! I can’t even imagine what that’s like! Looks ridiculously good! 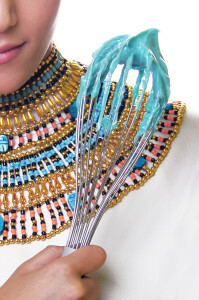 Where do you get eshta balady from New Cairo? Hi:) I got it from Mandarin Koudeir. It’s excellent! 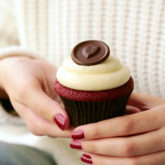 This looks sinful and delicious! Well done! Thank you dear:) I wish I got transport you a plateful right now. 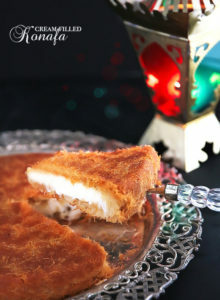 Hey…quick question..Can I substitute the eshta with pastry cream or custard???? What do u think? 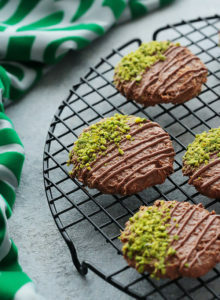 Isn’t the palmiers idea all sorts of genius?! I have no idea why I never thought about it before! Om Ali is forbidden in Egypt. Because she was dating baba ghanoug. This literally got me LOLing 😀 Good one! I’m surprised we don’t bake it at all and just put it under the broiler , did I get that right ? Hi Riham! Yes you read this correctly. There’s no cooking needed here because everything is already cooked. The palmiers are already baked and the milk is sooooo hot. All you need is just to brown the top and that will also reheat the whole thing together. I just made them and they were absolutely delicious. Super easy and super fast ! The only change I made to the recipe was the addition of rose water and orange blossom and it turned to be amazing. 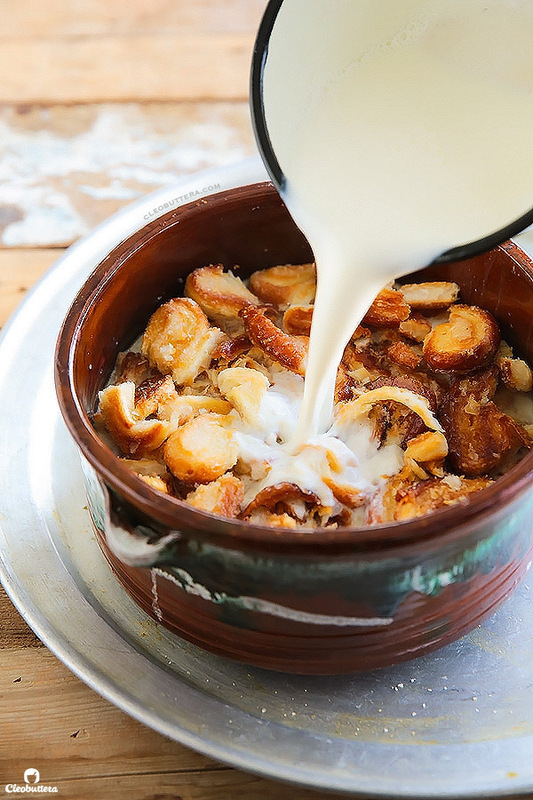 I added orange blossom water to the milk and sugar mix.. And i added a little cinnamon to the nuts when i sprinkled them over the dish. Hahaaaaaa😂 I’m so happy to hear that my quirky writing put a smile on your face. I hope you give this recipe a whirl; it’s delish! I think it’s a good idea. I’ve never tried making Om Ali using croissants before so I can’t say for certainty, but a lot of people use it with success. You might need to adjust the amount of milk mixture though. I think you’ll probably need more as croissants are so puffy. Can we use a blow torch to brown the top instead of keeping it in broiler? So sorry for my late reply. I guess you could…just do it from very far away so it takes it time to caramelize & not burn. 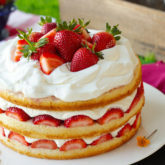 If using whipping cream, should I whip the cream in its unsweetened state or should I sweeten it like I would if it were going to be a topping on a dessert? Hi Isabel:) There’s no need to sweeten it but you could if you prefer. 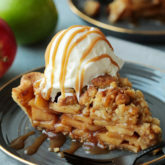 I would love to try this recipe but unfortunately I don’t have oven. Can you share any alternate option for making this recipe without using oven plz. Hi Fatimasu! You could get by by skipping the broiling step, but you won’t have that caramelized surface, which is ok. Don’t put the cream/ eshta layer in that case. If you have a torch, like the one used in making creme brûlée, it would do the job of broiling the top. Sorry for the confusion. It’s whipping cream that you’ll need to whip before adding. You could use any rich full fat milk you prefer. To make it even richer, like fresh cow’s milk, you could add some cream to it…you can find more details in regards of that in that ‘notes’ section of the recipe. Because everything comes together so quickly, and since I’m cooking for one, I cut everything down to 1/8 and devised a “personal” umm Ali (akin to the popular cake in a mug). 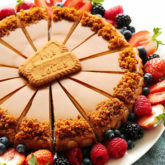 This way I can have creamy, crunchy on the top umm Ali whenever I like! What a genius idea! 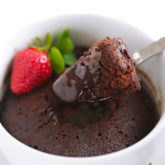 Om Ali mug cake for one…I love that! So happy you found a way to personalize it and enjoy it. Thanks for sharing your handy trick. Hi Nadine. I’m honestly not sure where you can find it in the US. You could have a good shot at it at Middle Eastern speciality supermarkets. I think the closest substitute you can get in the US is creme fraiche. However, for this particular recipe, whipped cream works just as well. Hello it is me Soraya again 🙂 I tried thia recipe today and want to share some things I did. 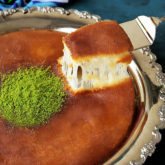 You 5old me that Eshta was something like mascarpone and I did this on top of my Umm Ali and it was amaaaaaazing! Also I did a little les milk around 100ml and put in thicker coconut milk/cream. For a little coconut flavor without the flakes and it really made it taste good. Thank you for response and hope to see more about eshta the history and differences. Love! Hey Soraya! So good to hear back from you. It’s so great to hear that mascarpone worked well as an eshta substitute. 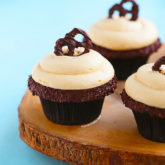 Love that you’ve used coconut milk…I have a weak spot for anything coconut flavored. So happy you enjoyed this one and thanks for letting us know how it turned out. Hey your recipe seems easy n super yummy will be trying for a food stall. 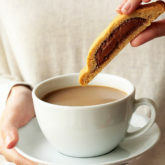 Just one query, as i will be selling and need to make individual cups which are of pladtic and cannot be put in oven, will it be ok if i bake according to your directions and then serve in shot glasses secondly mine will not be warm as it should be because we don’t have heating system at the venue so will it taste ok if it’s not that warm???? Would really appreciate your help, thanks in advance. Hello Sabeen! Thanks for your interest in this recipe! It really is easy as it is delicious, but in all honesty, it’s not the best make-ahead dish. 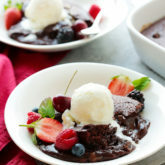 This dessert is best served as soon as it’s prepared, or within an hour while it’s still warm. As it sits, the palmiers continue to soak in the milk mixture, which starts to thicken up the pudding and alter the consistency; think cereal. You can remedy that by keeping extra hot milk mixture on hand and adding in more to loosen the texture. As for serving it at room temperature, well…it’s ok but not nearly as good as it is while warm. In restaurants and hotels in Egypt, they always serve it over chafing dishes set over a steam bath. They also put way more milk mixture than needed, so that when it thicken up as it sits, the consistency remains right. Hope that helps! 1. How many people does this serve? 2.If I don’t serve this right away, does it lose its amazingness ?? Hahaaaa! These are actually really great questions; thanks for bringing them to my attention. 1. It serves around 8 to 10 people. 2. Well depending on your textural preference. I find that it soaks up most of the milk as it sits, which makes it a bit goopy. Some people don’t mind that at all. I personally like to serve it within an hour upon getting it out of the oven. That way, it has a variety of textures; crunchy on top, milk in the bottom, soft in some areas, and chewy in others. Thank you Diane! 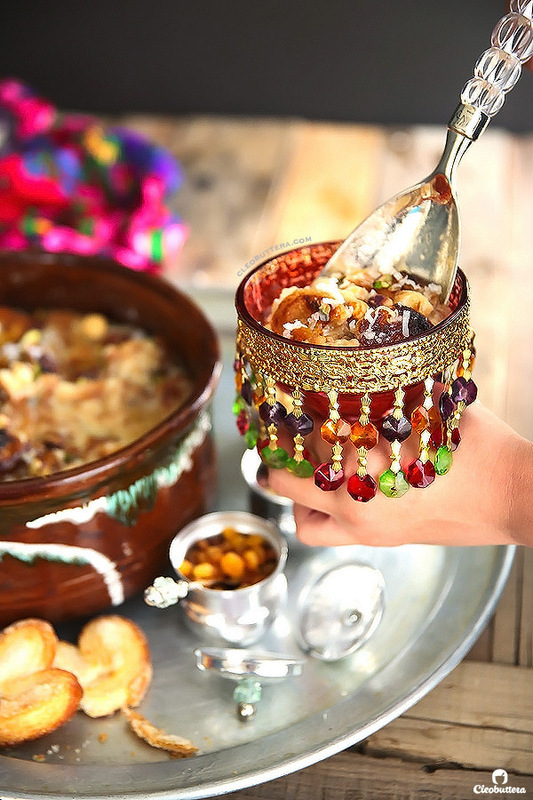 I hope this recipe for Om Ali delivers and reminds you of the one you enjoyed in Jordan. Great recipe. I ate Om Ali as a boy in Cairo, was looking for a place in Cairo to send a friend to try it (any recommendations?) and found your lovely site. Thank you! 2 questions/comments: 1) Could you post a picture of the more shallow dish that would be more ideal. 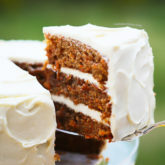 2) When you say “cover the top with whipped cream”, do you mean actual whipped cream or not-yet-whipped whipping cream? 3) Is something like eshta sold in the U.S. and what might it be called? Thank you so much CleoButtera! 4) Can you explain the Babaghanouj joke below? I know baba is father, but is there more to it? Thanks! Thank you so much Gerry! Hmmmm recommendations for Om Ali in Cairo…On the higher end, there’s Abul Sid restaurant that serves authentic Egyptian food, and also Zaitouny at Four Seasons hotel. But if he/she is ever in more touristy areas like Khan El Kalily, then he/she should definitely try it at any of the traditional cafes there like Naguib Mahfouz Cafe. 1) I’ll try to do that soon, but meanwhile, what I meant is something like a 13X9 inch pyrex dish. 2) Yes actual whipped cream that’s already been whipped. 3) The closest thing would probably be clotted cream or creme fraiche. 4) I wanna see the joke 😍 Hit me up!